To say that Carnival Cruise Line has not had a run of good luck these last few months is an understatement to be sure. First they have the Carnival Triumph disaster to deal with following the fire and photos of Carnival Cruise guests in makeshift tents and indescribable problems with sewage. 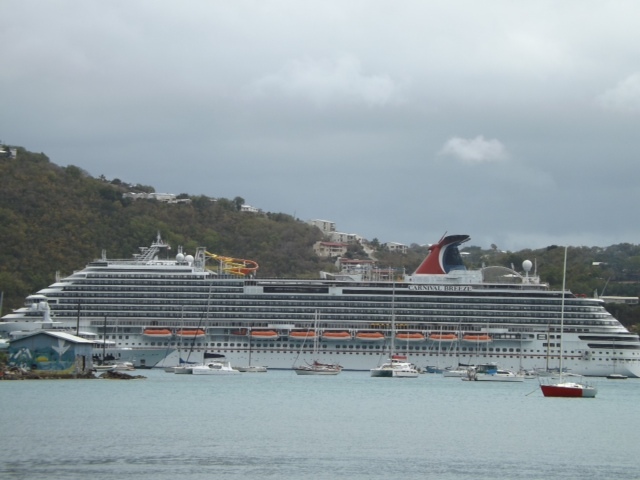 Now Carnival Dream guests are stranded in the eastern caribbean port of Philipsburg after the back-up generator failed. Carnival is currently in the process of flying all 4,363 Dream ship cruise guests back to Port Canaveral in Florida in an abundance of caution following the failure of the generator. According to CEO Gerry Cahill, Carnival has started a safety review of their fleet. Sounds like good timing since the Carnival Legend is cutting short its cruise a day early due to problems with its sailing speed. They have canceled a scheduled stop in Grand Cayman and are heading back to the port in Tampa. I recently returned from an 8 day cruise on the Carnival Breeze. I must say I am thankful that we were blessed with an uneventful cruise with no problems like the ones found on the Carnival Dream , Legend & Triumph. I am Lynette Henk, a home based XO Healthy Chocolate promoter business owner. I can be reached directly at 941-216-5727, at [email protected] or at my website LiveForChocolate.com. A Buy 2 Get 1 Free XO Chocolate deal is available using coupon code 6684 through March 24th, 2013 for those wishing to get a deal on cold pressed chocolate products as well as the anti-aging line. This is a great time to get started with their own home based business. PreviousHealth Benefits of Playing in Punta Gorda…Dirt! Should Punta Gorda Online Sellers Respond To Negative Reviews? I was more than happy to search out this internet-site.I wanted to thanks on your time for this wonderful learn!! I definitely enjoying each little bit of it and I’ve you bookmarked to check out new stuff you weblog post.